Alexis Cliff Dive Resort is conveniently located in the popular Tangnan area. The hotel has everything you need for a comfortable stay. To be found at the hotel are restaurant, airport transfer, bicycle rental, Wi-Fi in public areas, family room. Relax in your comfortable guestroom, featuring air conditioning, non smoking rooms. Entertain the hotel’s recreational facilities, including massage, garden. Convenience and comfort makes Alexis Cliff Dive Resort the perfect choice for your stay in Bohol. Alexis Cliff Dive Resort is committed to provide you with the true comforts of home and an excitement of paradise! Experience a homey atmosphere as you dwell into our building’s amenities. Ascend through our spiralling stairs to the attic and take time to relax in our cozy rooms richly toned with striated floor design, wooden cabinetry, and window frames set against pastel washed walls. The patio-area invites you to the oh-so-heavenly sight of the vast clear ocean reflecting the cheerful blueness of the sky, slightly concealed by the randomly lined clusters of lush treetops. You can also choose to stay in our native huts accentuated to give you that perfect sanctuary-like-feeling. To satisfy every discriminating palate, we offer a wide array of affordable and delectable dishes you can choose from. You can select live chickens and watch them prepared skilfully on the spot just for you. Or you can point out fresh Tilapia fishes as you stand atop the concrete bridge crossing over our fish pond and request for a tasty dish of your choice. Ideally located in the prime touristic area of Doljo Beach – Panglao Island, Palm Island Hotel and Dive Resort promises a relaxing and wonderful visit. The property features a wide range of facilities to make your stay a pleasant experience. Take advantage of the hotel’s car park, room service, laundry service/dry cleaning, tours, smoking area. Desk, balcony/terrace, shower, non smoking rooms, fan can be found in each guestroom. Enjoy the hotel’s recreational facilities, including massage, private beach, jacuzzi, outdoor pool, before retiring to your room for a well-deserved rest. A welcoming atmosphere and excellent service are what you can expect during your stay at Palm Island Hotel and Dive Resort. Kalipayan Beach Resort & Atlantis Dive Center is a popular choice amongst travelers in Bohol, whether exploring or just passing through. The hotel has everything you need for a comfortable stay. All the necessary facilities, including restaurant, family room, room service, tours, airport transfer, are at hand. Guestrooms are fitted with all the amenities you need for a good night’s sleep, including balcony/terrace, fan, internet access – wireless, shower, in room safe. Access to the hotel’s outdoor pool, massage, garden, water sports (non-motorized) will further enhance your satisfying stay. Friendly staff, great facilities and close proximity to all that Bohol has to offer are three great reasons you should stay at Kalipayan Beach Resort & Atlantis Dive Center. Come and dive with us at the world famous Alona Beach Panglao, where we are sure this is the right place for you to spend your holiday , with some of the most famous diving sites in the Philippines, you can discover and enjoy the diversity of views during your dive here , with so many different diving sites to choose from you will always find some thing interesting and fun, and sure to make a more memorable and enjoyable holiday …. 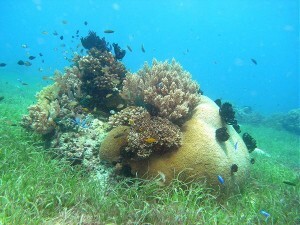 you can discover a wide variety of fish and beautiful corals to satisfy your imagination. Our instructors and dive guides are happy to give you an unforgettable impression of the diversity and richness of color of this diving area, and showing you so many unusual critters,so have fun lets go for a dive. Ideally located in the prime touristic area of Panglao Island, Baywatch Diving and Fun Center promises a relaxing and wonderful visit. Featuring a complete list of amenities, guests will find their stay at the property a comfortable one. Take advantage of the hotel’s tours, Wi-Fi in public areas, room service, airport transfer. Each guestroom is elegantly furnished and equipped with handy amenities. Take a break from a long day and make use of water sports (non-motorized), outdoor pool. Convenience and comfort makes Baywatch Diving and Fun Center the perfect choice for your stay in Bohol. The 5-star Eskaya Beach Resort and Spa offers comfort and convenience whether you’re on business or holiday in Bohol. The hotel offers a high standard of service and amenities to suit the individual needs of all travelers. Facilities like poolside bar, babysitting, valet parking, safety deposit boxes, airport transfer are readily available for you to enjoy. Designed and decorated to make guests feel right at home, each room comes with internet access – wireless, coffee/tea maker, complimentary bottled water, mini bar, in room safe. Enjoy the hotel’s recreational facilities, including water sports (non-motorized), steamroom, jacuzzi, garden, sauna, before retiring to your room for a well-deserved rest. Eskaya Beach Resort and Spa combines warm hospitality with a lovely ambiance to make your stay in Bohol unforgettable. Located in Dauis – Panglao Island, Hidden Coral Diver’s Club is a perfect starting point from which to explore Bohol. Both business travelers and tourists can enjoy the hotel’s facilities and services. Family room, room service, Wi-Fi in public areas, car park, restaurant are just some of the facilities on offer. Each guestroom is elegantly furnished and equipped with handy amenities. Take a break from a long day and make use of massage, garden, outdoor pool. Discover all Bohol has to offer by making Hidden Coral Diver’s Club your base. Ideally located in the prime touristic area of Danao Beach – Panglao Island, Villa Del Pueblo Inn promises a relaxing and wonderful visit. The property features a wide range of facilities to make your stay a pleasant experience. Wi-Fi in public areas, poolside bar, coffee shop, tours, airport transfer are on the list of things guests can enjoy. Designed and decorated to make guests feel right at home, each room comes with internet access – wireless, balcony/terrace, refrigerator, kitchenette, shared bathroom. To enhance guests’ stay, the hotel offers recreational facilities such as garden, outdoor pool. Villa Del Pueblo Inn combines warm hospitality with a lovely ambiance to make your stay in Bohol unforgettable. 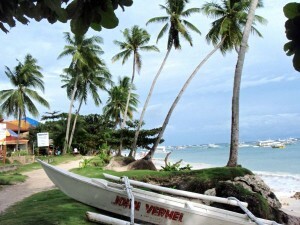 Stop at Isola Bella Beach Resort to discover the wonders of Bohol. The hotel offers guests a range of services and amenities designed to provide comfort and convenience. Tours, Wi-Fi in public areas, airport transfer, smoking area, laundry service/dry cleaning are there for guest’s enjoyment. Guestrooms are designed to provide an optimal level of comfort with welcoming decor and convenient amenities like non smoking rooms, shower, kitchenette, television LCD/plasma screen, desk. Recuperate from a full day of sightseeing in the comfort of your room or take advantage of the hotel’s recreational facilities, including pool (kids), garden, massage, outdoor pool. No matter what your reasons are for visiting Bohol, Isola Bella Beach Resort will make you feel instantly at home.